The Glen Oaks Board of Trustees reluctantly approved a $5.00 per contact hour tuition increase at their April 11 meeting, or 5.9 percent, for in-district students beginning with the Fall 2012 semester. 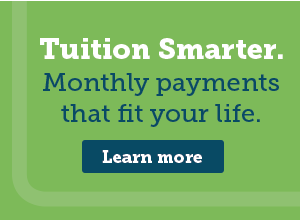 Resident In-District tuition increases from $85.00 to $90.00 per contact hour. Service Area tuition increases from$130.00 to $138.00 per contact hour. Out-of-District/International Student tuition increases from $165.00 to $176.00 per contact hour. The Trustees also approved a new replacement Fitness Center fee aimed at encouraging all students to make use of the college fitness/wellness facilities. The Fitness Center fee is $15.00 for 1-4 contact hours and $30.00 for 5 or more contact hours. The General Fee remains at $18.00. The Student Activities Fee will also beheld at $7.00 per semester for students enrolled in 1-4 contact hours and $12.00 per semester for 5 or more contact hours. The decision to increase tuition and fees came after the treasurer’s report and projected college budget for the 2012-2013 school year. Marilyn Wieschowski, CPA, Dean of Finance and Administrative Services, said, “The college faces several realities: The possibility of another flat enrollment year, reduced amounts from property taxes,and growing employee insurance costs.” Wieschowski forecast a two percent increase in revenues in Fiscal 2012,with a 2.6 percent increase in total payroll expenses, and a 2 percent increase in operating expenses and transfers over the past fiscal year. Total expenses for the college are expected to rise 4 percent compared to the fiscal year 2011 budget. Board President Pat Haas said the tuition and fees increase came with great reluctance, “We haven’t wanted to pass an increase. The Board hates to do that. It is not something any of us want to do.” Dr. Gary Wheeler, Glen Oaks Community College President, said the increase is in keeping with actions taken by many area colleges and universities. “We want to maintain a high quality of education at Glen Oaks both now and for the future,” he said. The Board was introduced to several visiting 2012-2013 Presidential Scholars. On hand were Kristy Holtz of Sturgis High School, Kurtis Maxwell of Centreville High School, and Adam Miller of Lake Area Christian School. Not available was Alaina Schwarz of Ft. Wayne, Indiana. Each Presidential Scholar qualified for a $4,000 per year scholarship based on their academic record, references, a written application and personal interview with the President of Glen Oaks Community College. The Board learned of a letter of intent by Lon Huffman, Public Relations/Marketing Manager, to retire effective June 29, 2012. Lon Huffman is a 13 year veteran of Glen Oaks Community College. Dr. Wheeler said the position will be reviewed and possibly modified to reflect additional communications and social media activities. The Board approved a new College Investment Policy that continues to conform with Michigan Law,but allows the college to assess both long-term investments for reasonable returns on investment and short-term investments to be maximized to the extent possible. Any investments will be reviewed and approved by the Finance and Audit Committee of the Board of Trustees prior to completion of any transactions. Signers on the investments will be the College President and the Dean of Finance and Administrative Services.